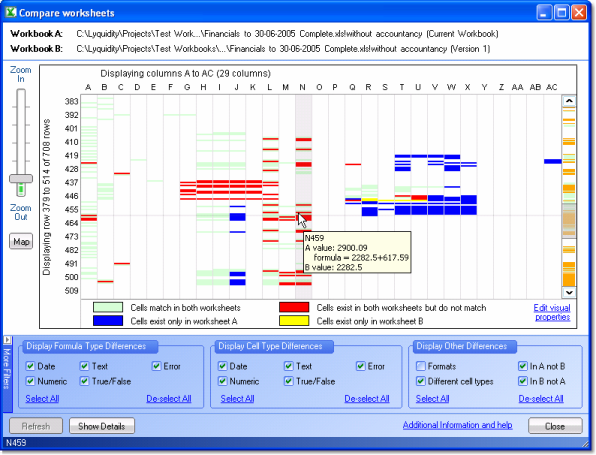 Excel is a great tool and because it is, it is ubiquitous and extremely popular. It's ease-of-use, presentation flexibililty and analytical power means it is used by millions of users in many fields. However Excel offers little protection against or tracking of changes. You give me a spreadsheet and I am likely to be able to make changes that no one is aware of except me. Password protection means only that anyone with the password can change the workbook. But did they? What did they change? There's no way to tell without manually comparing a workbook with a known reference copy - but is there one? 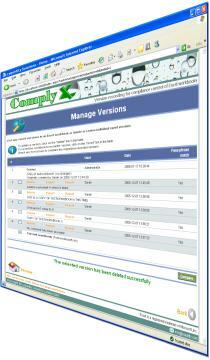 Users improvise version control by saving versions of workbooks before making further change. However, no one will ever know if the saved version is changed. And these versions have a habit of taking on a life of their own. In many cases this is acceptable. But in an increasingly "compliance" aware environment, Excel's flexibility is being presented as a weakness. Lack of change control and the ease with which workbooks can be changed unwittingly or maliciously is something to be concerned about. In the US a CEO and/or CFO can be jailed for presenting misleading information that could have come from a changed spreadsheet. In response to the concerns over Excel's lack of control, users are being exhorted to used "business intelligence" tools because they are able to offer change control features or companies are implementing a central document respository that users are expected to use. Improving change control is a good idea but the cost has to be reasonable. Excel is not only flexible, it is very easy to use. No BI tools can match the usability or flexibility of Excel. These qualities are important as it gives all managers the ability to explore and present business opportunities or manage risks and leads to improved productivity not just of the individual but of the organisation. A real shareholder benefit. Central document repositories are a good idea but they don't help users once a document has been retrieved from the repository or who use Excel in an ad-hoc way.